In the brickyards of Egypt the Hebrew men worked under harsh taskmasters under the directive of a hard-hearted Pharaoh. In the waters of The Great Nile Hebrew boys drowned under the death edict of the same man, afraid the ferocious fertility of the slaves would overpower them otherwise. The original task of infanticide was handed to the midwives; they were instructed to kill all the boys on the birth stool. But the women conspired together, bringing both boys and girls to into the world and to their mother’s breast—quickly, quietly. They walked into their township with relief, finally able to exhale. Their covert work remained concealed (and celebrated by all the Hebrew mothers). 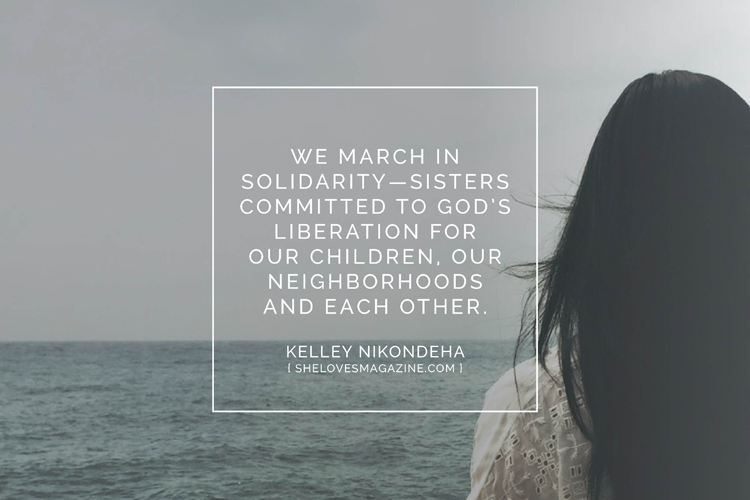 Read the rest on sisterhood and solidarity over at SheLoves Magazine.